Roll-on Wax Applicator Refills are pre-filled, disposable wax applicators available in three different formulas and 3 different sizes. Just screw on the appropriate roller head and insert into the Waxing Spa. 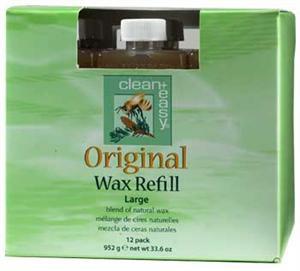 Original Wax Formula clean+easy Original Wax Formula is a blend of natural products including Beeswax, Honey, and Pine Rosins. 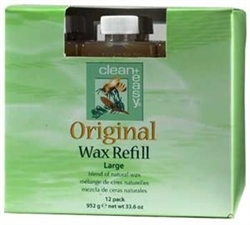 This high temperature wax is particularly effective for removing stubborn hair and can be used for facial and body waxing on most skin types.